Monday’s ad is for Schlitz, from 1943. 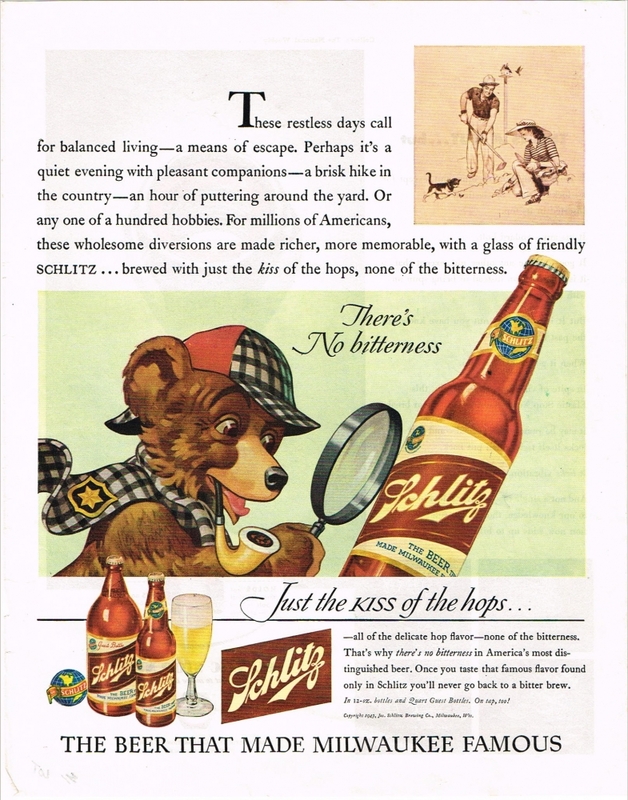 “Just the Kiss of the Hops” was a popular slogan used by Schlitz for several decades. It’s meant to express that their beer had no bitterness, but they definitely had some fun with it over the years. In this ad, another of the curious bear ads, in which the Sherlock Holmes of bears is on the case, and has found what he’s looking for: Schlitz beer.